Healthy Ageing and Aged Care takes an inter-disciplinary approach to supporting older people within the community and in care. The text takes a holistic view of the older person, and emphasises the positive aspects of the ageing process, maintaining that people age in healthy ways and continue to be an integral part of their families and communities. This is a book about life-the continuum of life, the impact of choices made throughout life, changes that happen during our lives and a celebration of lives lived! At the very heart of the book is the people who are living, who have lived their lives and are generously sharing their experiences with you-people who are ageing, people who make up families and communities and people who are health professionals, especially registered nurses, who work with and provide support for individuals, families and communities to ensure the best possible outcomes.Healthy Ageing and Aged Care takes an inter-disciplinary approach to supporting older people within the community and in care. 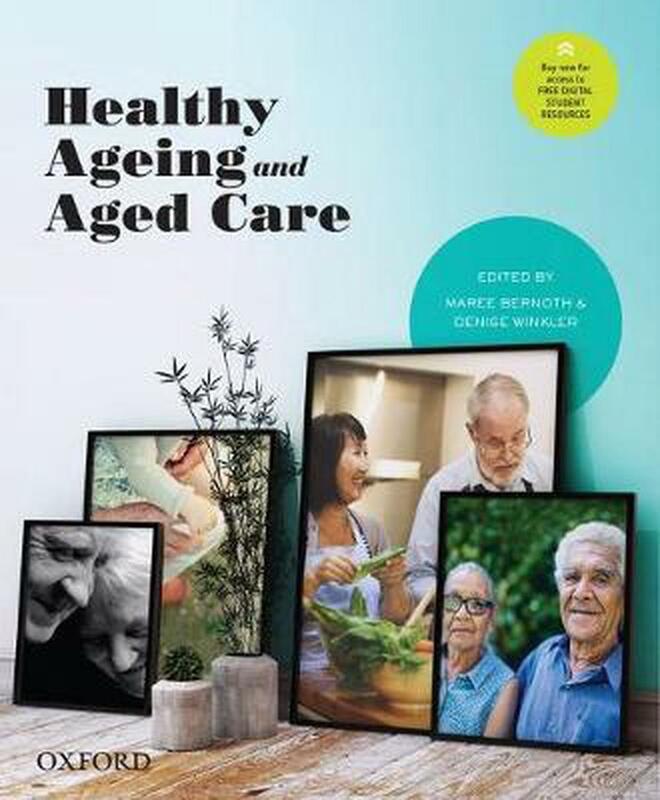 It represents current Australian and New Zealand policies and practices and takes a holistic view of the older person, and emphasises the positive aspects of the ageing process, maintaining that people age in healthy ways and continue to be an integral part of their families and communities. This is one of the rewarding aspects of working with older people-assessing accurately and collaboratively putting in place strategies that can maintain the person's quality of life. The goal is for you to be able to develop those skills by engaging with the material in this book. Accompanying videos and audio recordings give life to case studies in the text. They enhance the learning experience for the student audience by providing an opportunity to see the complexities and idiosyncrasies of situations relevant to older people and their carers. Learning Features Learning Objectives: Outline focus of each chapter and summarise intended outcomes of reading the chapter. Key Terms: List of terms of significance. Match terms bolded in text and defined in margin notes to help students identify them in context.Definition Margin Notes: Definitions of key terms provided in margin notes help students build their professional vocabulary.Linkage Margin Notes: Margin notes directing the reader to material on particular topics in other parts of the text to assist in navigation and deeper learning.Video Margin Notes: Margin notes directing the reader to video content relevant to a particular section of the text.â€˜My Experienceâ€™: First person accounts of personal experiences from the field to illustrate real workplace situations.â€˜Getting to know the personâ€™ case studies: Person-centred case studies introducing older people or health professionals. In some cases, these are running case studies where the same individual or couple appears in multiple case studies throughout the chapter, helping readers engage with the sorts of people they will be working with. Implications for Nursing Practice: Boxed feature highlighting implications for nursing practice. Focus Questions: Help students test whether they have understood what they are reading. It’s easy and enjoyable to read. The examples of lived experiences help the reader to relate to and understand content better.